The Jasic MIG 450 Separate is equipped with powerful IGBT components, digital meters and multi process capabilities. 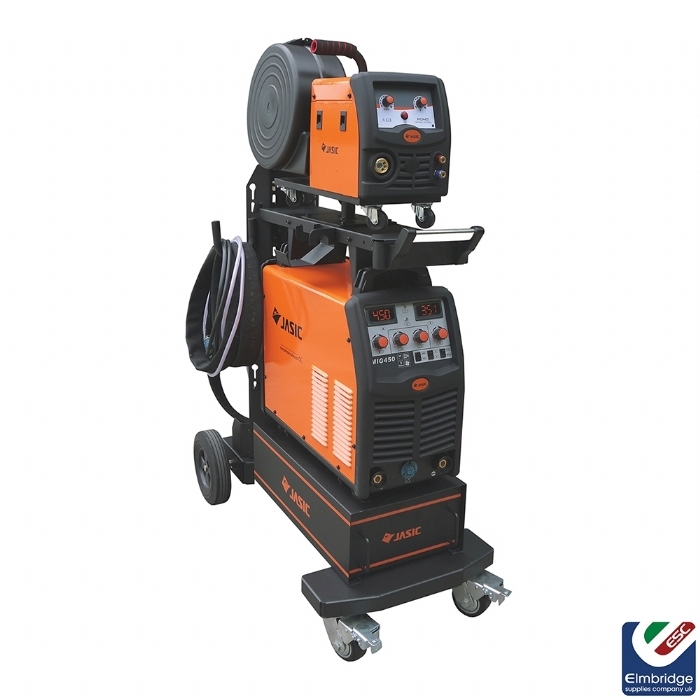 It offers excellent welding characteristics and a rugged, reliable performance. This high quality three-phase inverter delivers an impressive 450 amps at 80% duty cycle, making the MIG 450 an excellent choice for heavy duty industrial manufacturers. Featuring a unique (welding dynamic characteristic control circuit) in MIG, provides a stable arc, low spatter, excellent weld appearance and high welding efficiency.